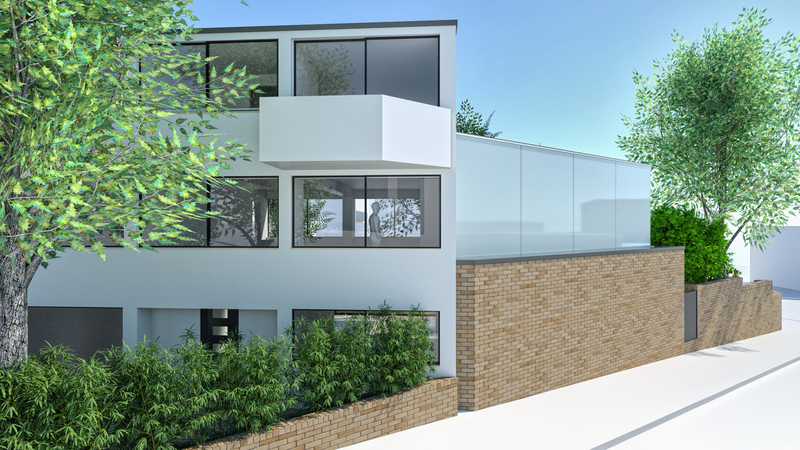 Planning Consent has just been achieved for a ground and first floor extension on a modernist house on a sensitive site in the centre of Belsize Park. The house was designed by John Winter, Architect and built in 1969. He is widely acclaimed for his modernist houses, most widely for his own house in Highgate which is clad in Coreten rusting steel. 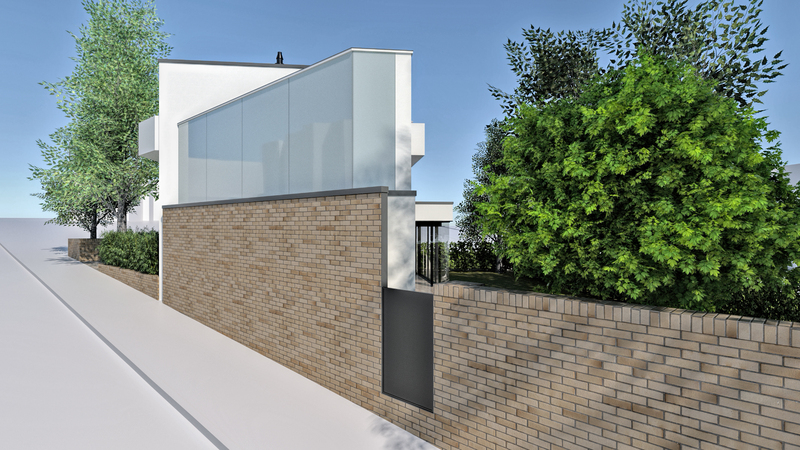 The house was completely refurbished and extended by David Adjaye Architects in the mid 90’s where a ground floor side extension was added. 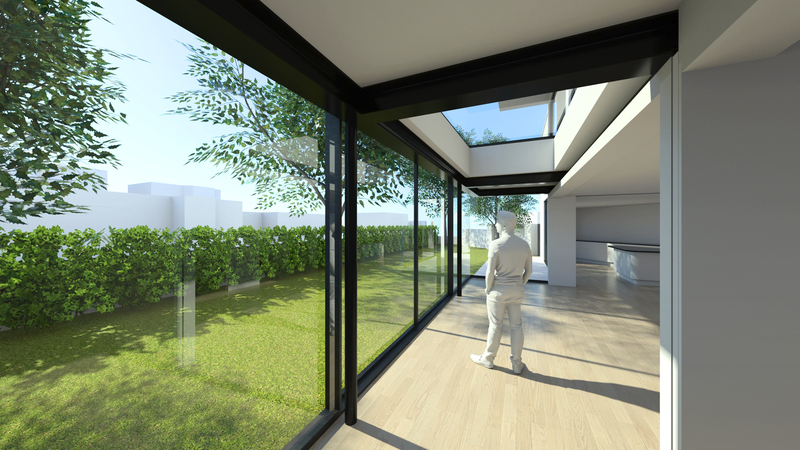 The new approvals are significant in that they add a large rear glass extension and also a further first floor extension. 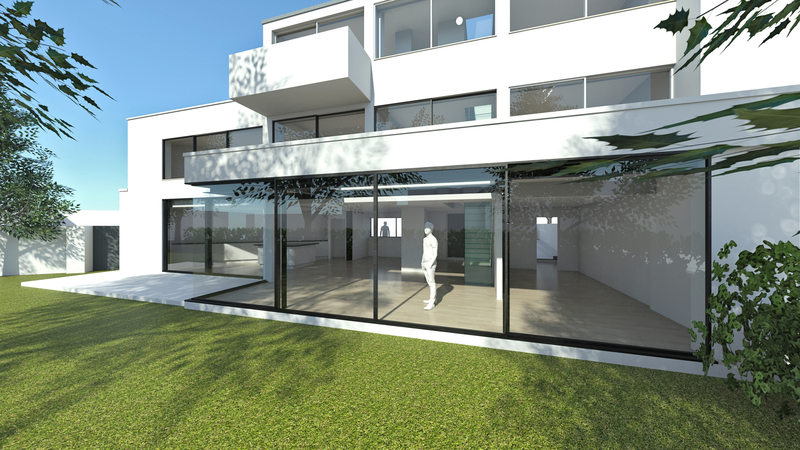 At first floor level the extension will be entirely clad in a glass cladding. © Ungar Architects 2017. All rights reserved. 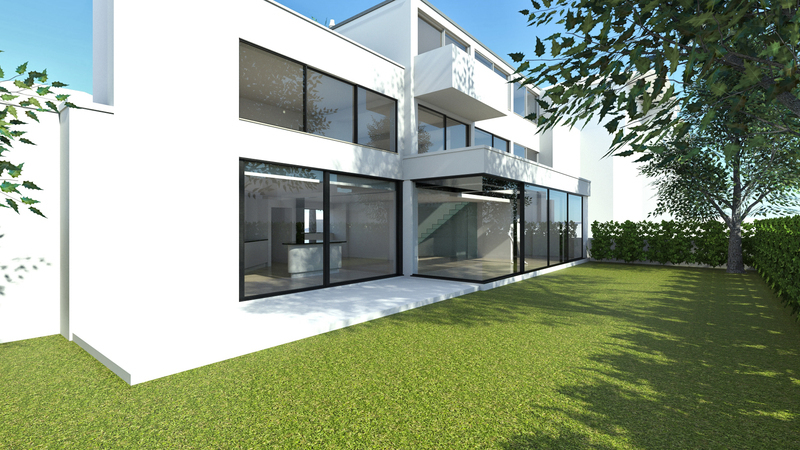 10-12 Perrins Court, London NW3 1QS.